After I have recorded some videos in the past I decided to share everything what I created on slides and samples in the last year at two central places: SlideShare and GitHub. 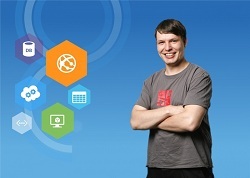 On SlideShare I have uploaded the slides to my Germany Windows Azure videos. Equally I have uploaded multiple samples to GitHub. I will try to increase continuously the number of slides and samples . This entry was posted in English and tagged GitHub, SlideShare on October 26, 2012 by Jan Hentschel.